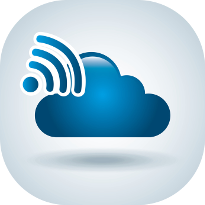 With a cloud solution from QuestingHound Technology Partners, your users can take advantage of a simple interface where they can access any mission-critical information easily and securely through your online cloud. Users can view documents, use required applications, and even collaborate in real-time. Our cloud solutions are entirely scalable to meet the individual needs of your business, making them ideal for a company of any size. Unfortunately, mobile devices also bring into question several security issues that need to be address. With QuestingHound Technology Partners’ mobile management solution, your organization can ensure that users’ personal devices aren’t leaking sensitive information through apps. You have complete control over the whitelisting and blacklisting of specific apps, meaning you can, in theory, optimize operations and productivity with your administrator privileges. The best fix for this situation is QuestingHound Technology Partners’ Virtual Private Network (VPN) solution. Our VPN is designed as an extension of your business’s network that allows you to securely log in and access your information from any wireless access point. This helps you avoid putting your network’s data at risk while traveling. If your business’s mobile technology, or lack thereof, is holding it back from achieving maximum productivity, QuestingHound Technology Partners has a wireless solution designed specifically for your organization that can fix this issue. Give us a call at 954-727-2200 today for a free IT consultation.